"Just wanted to thank you and encourage others. I went from 325 pounds to 245 after 2 rounds of this diet. I have type 2 Diabetes of course and have been able to quit using insulin. My A1C was 6.2 at my last doctors visit. I am just starting the third round of drops after waiting a couple of months where I did not gain any back. I have tried every diet you can think of and would lose some weight and then gain it back plus a few extra as if my body was punishing me for daring to lose weight. This diet is not easy psychologically but when you see yourself losing 1 -3 pounds day you can so stick it out." "My name is Traci and I have always been over weight... Same ol sad story.. Been on just about every single diet ever! I have 2 beautiful lil girls, 4y & 7y old... Im 5'6" and I reached my heaviest weight of 275 lbs just after having my second daughter in 2008. From then on I have done and failed at Atkins, 6 Week Body Makeover and who knows what all other plans... I love doing Zumba, Turbo Fire and BodyRock exercising. All of my life Ive had a "dream body" in my head that I wanted to achieve.. I grew up in the country, out in the sticks, Im a cowgirl... Ive always had horses and had always wanted to get in to barrel racing, but just couldnt get to where I wanted with the lack of confidence due to being overweight.. I found out about HCG from my niece, and did some research and talked to a few other family members and on September 18th 2011 I started my HCG diet journey!! So, I had managed to lose 42 lbs between 2008 & 2011.... I started hcg weighing in at 233 lbs.. After only 9 months on the drops I was able to acheive my goal, and have lost a lil here and there, maintained well, and today, Sept 11, 2012 I am so happy to say that I now weigh 144 lbs!!! 131 lbs GONE and I went from a size 24 to a size 6 !!! I have that dream body that Ive always wanted, finally lookin like the cowgirl that ive always been inside!! My children dont recognize me in old photos and its a huge deal when they hug me cause they can now get their arms around me with extra to spare!! Im so greatful to have found this life change... I have helped so many others get onto this and we have started our own lil group on FB.. The other day I asked for a tally of weight loss, after only 9 people spoke up their losses, I added it up and it was up to 400 lbs! We have 63 members, so I cant wait to see how much more is posted! So thats my story...... And heres my pictures!!! Click Here"
"I used the product for almost six weeks, loading and then normalizing. My weight went from 270 to 220. BP is now 101/61. I expect to be removed from my hypertension medication. goal weight is 200." "I am thrilled with the hcg diet!!! I have dropped 30 pounds since July. I have never been able to lose weight at all because I am disabled and do not exercise at all. My metabolism is very slow as I am 59 years old. I intend to lose about 40 more lbs. Thanks HCG for your genius formula!!" "I just wanted to thank you for your supplements they've been A miracle. Obviously you do have to stick to the diet plan and everything but I just had such great results with this and just wanted to say thank you. I've kept all the weight off and I'm continuing to do so it's just been such a blessing to me considering how insecure I was. I'm feeling so great about myself. I have some really amazing before and after photos if you like them for your website or anything else just let me know go ahead and email me!!! Big huge thanks again." "I just wanted to say that I am flabbergasted!!! I have never been able to lose weight before and I have lost 43.3 lbs. since July of this year! It feels so good and it just keeps coming off, naturally I keep taking the drops because they work so well. I want to lose about 20 or 30 more lbs. I'll see when I get there how I feel - but whoa! Again, I've never had anything that worked for me so fast and easy as these drops do. I've been on all of the other traditional diets: weight watchers, South Beach Diet, etc. and none of them worked for me plus this is so much easier - I don't have to go and weigh in anywhere or be accountable to anyone except myself. It's just WONDERFUL!!!! So if you haven't tried it yet - what are you waiting for? I'm telling you that it works and it's guaranteed!!! What more would you want ? They're almost giving them away. GO AHEAD - TRY IT! IT REALLY, REALLY WORKS!!!! THANKS INTERMOUNTAIN HCG FOR ALL YOUR HELP!" "I am one of the ones that drank the Green Tea while on the diet. I am one that always had to have my latte in the morning and have my Coke on my desk all day long. I was terrified of doing the diet and not being able to drink those. So I ordered the Green Tea along with my HCG drops. And it worked! The coffee flavor actually tastes like Coffee, and all the cream flavors taste great. I drank at least 2 a day and I did the drops like it was recommended. I have now lost 22 pounds in 3 weeks! I'm so happy about it! Thank you so much for having great products. My outlook on life is totally different now. All the best, PS. I'm still drinking the Green Tea every day. I guess I'm hooked. :)"
"Thank you so much for the offer. I will probably get some next time. I like to have a couple of bottles on hand for people who ask me how I lost my weight. I tell them about the HCG protocol and about you folks at InterMountainHCG. I am still maintaining my weight loss. It will be 2 years on Aug 3. HCG was a miracle for me, and I could not be happier." "Lost 20 pounds with round 1 of Intermountainhcg, can't wait to lose more! Thanks!" "In August 2010 my husband & I both started on the HCG Diet. We used Intermountain HCG drops as they were the MOST reasonable price I found, also (and important when you live in Australia!) a sensible postage cost of $5 to Australia! In the 23 days we followed the diet, my husband lost 12 kgs (26 lbs) and I lost 8 1/2 kg (19 lbs). I have more to lose and will certainly use the same drops as they really worked for us! I highly recommend the drops and the diet! IT WORKS!!!" "DOWN 106LBS WITH YOUR PELLETS.... IN 4 ROUNDS! & 1 YEARS TIME! :)"
"I have been on the diet for a total of 6 days, and 2 of those days were the high calorie. So far I have lost 11 pounds, and am not hungry often. I have been drinking about 3 liters of water and coffee, tea. I am sure it was loss of potassium causing the muscle cramps, I had some in the house and took just 150 mg, and the problem seems to be better. I also read that any one going on a low calorie diet of less than 850 should watch their potassium level or they will have cramps like I did. I of course did all this research after the fact. I am so very pleased with the pellets, I was worried about the idea that they were not as good as the drops, not having tried the drops I can say I will stick with the pellets they work great for me, I lost 3.2 pound since yesterday. I thank you for your patience and helpfulness." "Hi, my hcg has arrived in NZ, thank you so much for such fantastic service and a great product. This is my second bottle I have purchased and to let you know the first time I took it, I lost about 8 pounds in 3 days, this is high quality hcg, and at a very good price, thanks so much for being genuine honest traders and not ripping off the poor overweight, as many hcg websites unfortunately are. Keep up the good work, thanks heaps." "Hi, I did some research on the hcg diet protocol some months ago and after looking around decided to purchase my drops from you because 1. The price was really reasonable 2. I felt very comfortable with the straight forward approach your site offered. 3. I just simply felt I could trust what you were offering. The four bottles I ordered arrived in good order and in very short amount of time. I then put myself and my flat mate on the diet. In 29 days we both lost 10 kilos and since then my metabolism has continued to work well and have lost a further 3 kilos back on an “ordinary diet”. Once I started having success I held free talks at my place of work. I am a massage therapist, Iridologist, Reiki practitioner with a great interest in nutrition from food. Throughout October about 15 – 20 people decided to go on the Protocol and I only recommended your product as that was the one I had used and had success with. I am happy to tell you that it has been a 100% success for all the people who participated. I am sure they would all send their thanks! I will be going back on the protocol myself early next year and will continue to refer clients on to your product. Thank you so much for being reliable and consistent with the product and posting. Kindest regards." "I would like to tell you that I have lost 80 lbs. I'm going on my 5th round. My sister has lost 58 lbs and she is going on her 3rd round. We have 4 others that have lost. So THANKS for selling the drops so affordable." "I have just had a bottle of these from my friend, AMAZING!!!! ordered her and myself some more cos its GREATTTTTTT." "returning customer thank you have lost 11 1b in 10 days"
"This is the best thing I have ever used for weight loss." "This stuff is working so well that I am buying it for all of my friends. Thanks a bunch." "thank you i really like your product. i purchased hcg drops from amazon.com and they were not the same as your product. i felt the difference right away." "I have been on the drops for around 30 days and have lost 11.4kilos. I feel fantastic." "Dear Intermountain HCG! I am very happy with your product and so are many of my friends! I have already recommended you to 6 People that have ordered from you! I have lost 10 Kg on a 42 Days Diet and I am keeping it down! Why are not more people choosing it??? It is the best and cheepest way to go! Thanks again and I will keep on recommending it! Best wishes"
"I am in the process of opening a clinic to help people lose weight, mainly because of the wonderful results I’ve had with the Intermountain hCG drops. (So far I’m down 23kg – I think that’s about 50 pounds, so I’m very happy. I’ve never known anything to work like this!!)" "Thank you for these wonderful drops that helped me to lose 25 lbs. so far. I feel ever so much better. I am 73 yrs. old and feel 15 years younger, am energetic with much less arthritis pain, more mobility and a new wardrobe. From size 16/18 to 10/8. Not bad, eh?" "I'm a former customer and your product works!! I have told lot's of friends. I will continue the to spread the good news. By the way I have lost from 117kg to 98kg. ( in 30 days) Very cool and we waiting for new order :) Thank you very much"
"I'm doing well, and have my housemate on it as well. she has dropped 2 dress sizes with no hunger at all. This is an EXCELLENT product and am glad I've found you here. Thanks! J. This is a reorder, enjoying very much. Myself, husband and oldest daughter are all taking it, and now have friends wanting to try it too." Thank you so much - I am now ordering another batch after losing 8kgs - what a difference it makes! Was a bit skeptical, friends were paying $500 for their drops, and to pay so little in relation, was not sure whether they would work -but they have!! 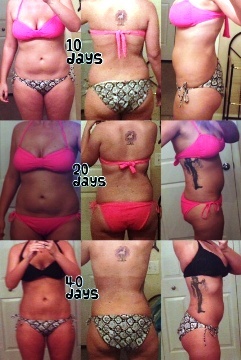 February 19th, 2011 I paid $22.50 on line for a 2 oz bottle of HCG drops and they are working great. I have lost 6 1/2 lbs so far (in 5 days). I was very sceptical but am surprised to say that I am not hungry and have more energy than before starting this diet plan. My goal is to lose a total or 30 lbs. My sister has been on the program for 2 months and has lost over 45 lbs. I got mine from Intermountain HCG. Hi there, I have been using your drops and have had great success (lost 32kg so far since March this year! ), so I am very happy! this product is FANTASTIC!! am doing so well on this i have decided to buy for a friend whos wedding is coming up shortly. thankyou so much!!! I have lost 40 lbs so far and now my husband and daughter want to join me in this quest to lose weight. I am needing to purchase more of this HCG. awesome i have sent at least 9 people that have ordered off your site.im almost at the end of 48 days and im exstatic .im at 173 from 200 and its unbelievable !!!!! Thanks is such a small word for the places of fat that i have never lost before. thank you! these drops have changed my life and my sisters & all of our husbands too. By the way I am soooooo thrilled with your product. I have been telling everyone, and of course people have been asking anyway because I have lost 24kg in 2 rounds when NOTHING has EVER worked for me before. I gained 40kg rapidly 10 years ago. I am actually starting to feel human again, and me again. So thank you, thank you, thank you! Love your product and great service. Have been recommending you to all my friends! I love HCG! This is my second round. Round one I lost 30lbs and 20inches. Bring on round two. Thank you so much. I've tried several hcg products and this is by far the best..no hunger and no burning alcohol taste. Return customer. Can't believe how easy this is. No hunger--pounds really coming off. Thanks. I have had excellent results and lost 10kg from the first 2oz bottle, but have stabilised at 8.5kg total loss. I only wanted to lose 8kg, as I am a little older, and too much weight loss would make me too wrinkly. I am 55 years old, was weighing at 67kg, now I am down to 59.5kg, and am 5ft 2inches tall. So overall I feel so good, and am down to a size 10 dress, (34”). I dieted in July – August last year 2011. I have given you my story, so that you may have further confirmation of how good a product HCG is. I am ordering this on the recommendation of my daughter, who has recently had very good results after following your diet. I would like to say "Thank You a Million" for your wonderful product. I have tried every diet plan out there without any success. I heard about the HCG diet and came across your website. I was so amaized at the cost of your product compared to other websites. When I ordered Intermountain HCG the delivery was fast and easy. When I started the HCG I began to lose the weight very quickly. I am proud to say that I have just completed the 48th day and I have lost 34 lbs. Everyone is amaized at my weight loss and ask me how I did it. I have told many co-workers about your product and they will be ordering too. Thank you for giving me back my life...THANK YOU!!!! I just want to say am SO HAPPY with your drop it changed my life i lost 7kg in 19 days i LOVE your drop and i recommended to all my friend some already ardered and the rest will order soon. thank you very much for giving me my confident and self-steem i love going out now. I have done this two rounds. I weighed 230 pounds. I am down to 180 and am thrilled. I am doing it again and can't wait to get down to below baby weight. I am 52 years old and absolutely love that I am finally able to lose weight. I have tried so many diets and none have worked until I tried HCG. Thank you soooo much.